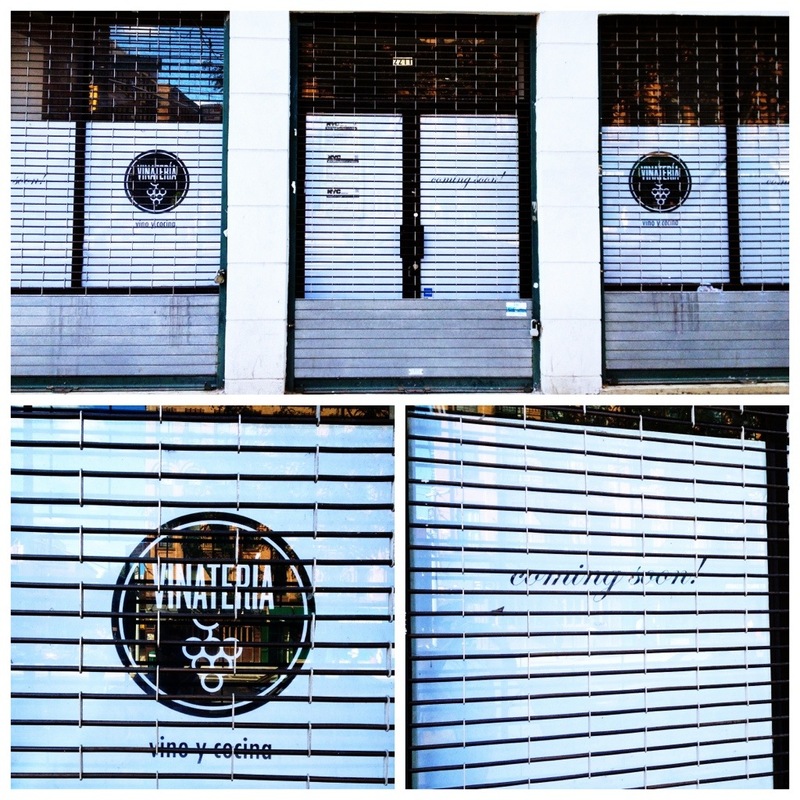 Signage says Vinatería coming soon to Harlem | HarlemGal Inc.
It’s official! Vinatería is coming soon to Harlem at 2211 Frederick Douglass Blvd. The owners have finally hung up signage on site recently for passerby’s to see and it says coming soon on their website as well! According to its Facebook page, Vinatería will be “a casual restaurant that will offer a market-driven menu with global influences and will offer the highest quality wine and food at a reasonable price, while providing friendly, attentive and knowledgeable service.” Hmmm…interesting. Wonder what the menu will look like! This entry was posted in Bars, business, drinks, food, Frederick Douglass Blvd., Harlem, New York, New York City, NYC, restaurant row, restaurants, Vinatería and tagged 10026, 2211 Frederick Douglass Blvd., Bad Horse Pizza, Chocolat Restaurant Lounge, Harlem, Harlem's Restaurant Row, restaurant row, travel, Vinatería, Vinatería Harlem, West 119th Street, West 120th Street. Bookmark the permalink.